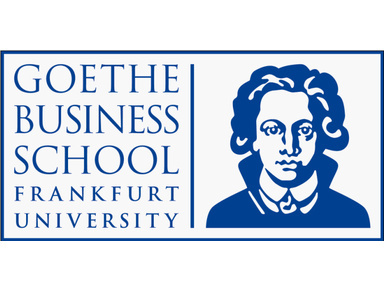 Founded in 2004, Goethe Business School (GBS) is the center for management education of Goethe University Frankfurt. Founded in 2004, Goethe Business School (GBS) is the center for high-quality management education at Goethe University in Frankfurt. GBS's unique teaching approach allows working professionals from around the world to boost their career through cutting-edge knowledge, ample networking opportunities and a sound work-life balance. Thanks to Goethe University's great research resources and unmatched thought leadership, GBS’s programs combine the highest standards of academic rigor with a hands-on applicability to real-world issues. GBS offers high - quality executive education programs for working professionals from around the world, combining highest standards of academic rigor with hands - on applicability to "real-word" issues. The Goethe Executive MBA in Alliance with Duke is a global, integrative and flexible MBA program offered by Goethe University's Goethe Business School (GBS) and Duke University's Fuqua School of Business (FSB). A total of eighteen courses will be taught in four parts of the world providing participants with a truly global perspective: Europe (Frankfurt, Germany - ten courses), the U.S. (Durham, North Carolina - four courses), India (New Delhi, two courses) and China (Beijing, two courses). The program allows participants to earn a world-class Executive MBA degree over a self-paced period of 18 to 30 months. Over the first nine months participants will take nine core courses together as a cohort. The subsequent nine elective courses can be taken over a period of nine to 21 months. Intercultural management training and regional business immersion sessions will be integrated into the four core courses to be held in China and India. Participants can choose among over thirty elective courses to tailor their learning experience to their individual needs. Four electives are to be taken at Duke University, where participants will take courses jointly with their peers from Duke's Cross Continent EMBA program. Courses are taught by faculty of multiple institutions: up to seven courses are taught by Duke Professors, while experienced Goethe professors and thought leaders from other business schools teach the remaining courses. The program includes a focus on fostering personal development. One innovation is to introduce individual and team-based coaching sessions throughout the entire program duration. Participants will earn an MBA degree from Goethe University and an MBA Course Certificate from Duke University that comes with Duke Alumni status. The Goethe Executive MBA in Alliance with Duke is an enhanced version of the Duke Goethe EMBA program that was offered by Goethe University's Goethe Business School (GBS) and Duke University's Fuqua School of Business (FSB). The modifications substantially increase the international scope of the program and provide participants with personal development tools and opportunities of experiential learning. Participants can choose from a wide selection of elective courses and pursue degree requirements at their own pace of study in four exciting cities. The Executive Master of Finance and Accounting is a part-time, graduate program jointly developed by Johann Wolfgang Goethe-University’s Goethe Business School and KPMG. This program establishes a new and exciting partnership between business and higher education in Germany. The curriculum is tailored to fit the unique needs of working professionals and prepares executives for the internal and external challenges of today’s fast-paced business environment. It provides the skills, tools, and knowledge to thrive in the world of finance and accounting, adding value to human capital for sponsoring firms and, consequently, increasing market value for the individual participants. The curriculum is delivered over a 7-term, 21-month period, by faculty from the University’s Department of Economics and Business Administration. The program was initially targeted at high potentials at KPMG. Today, the program is available to all young professionals who have gained a solid background in finance and/or accounting and hold a first degree (bachelor´s degree or equivalent). Because the program is taught in English and German, students need to have a good command of both languages. Upon successful completion of the program, students will earn a Master of Finance and Accounting degree from the Goethe University Frankfurt and become alumni of the Goethe Business School.